Welcome to Thompson-Hopps Pumps. We provide pumping equipment, fiberglass sumps, and pressure tanks for commercial, industrial, and municipal systems, with common applications including drainage systems, hot or cold condensate, water pressure booster systems, and effluent or liquid waste. We’ll work with you through every stage of the pump’s life, from designing and sizing a system to maintenance and repair. Decades of building solutions for customers, engineers, and contractors gives us the experience to handle any application – big or small. With over $1 million in inventory and access to every major pump brand, we can quickly meet your needs with reputable brands featuring American-made products. We offer full pump maintenance, repair, and rebuilds, as well as system assessments and efficiency analysis to keep our customers running at the lowest cost. Thompson–Hopps Pumps began operations in 1975 as a local manufacturers representative with 2 lines of equipment. We have grown into a Midwest industry leader for commercial, industrial, and municipal pump systems. We enjoy the benefits of being a regional company with a local presence, and the close relationships it affords with our customers. 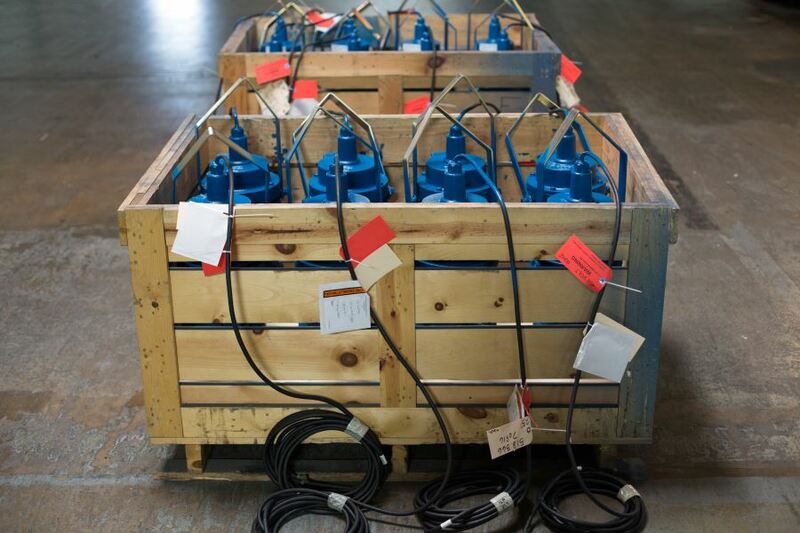 Our sales engineers strive to provide the highest quality and most cost-effective pumping solutions. We want to become familiar with you and your application so we can keep you running and you can focus on your operations without issue. For more information, send us a message using the dialogue box to the right or give us a call at (815) 633-9447! We’re here for you through every stage of the pumps life – including systems design, sale, regular maintenance, and repairs. Our Sales Engineers have been around the block and built solutions for every industry – give us your toughest application and we’ll prove it! We have high expectations for keeping our customers running, and will quickly provide a solution at any hour. Weil Pumps’ Quick Removal System all of our jobs easier! © Copyright 2016 All Right Reserved Thompson-Hopps Pumps.